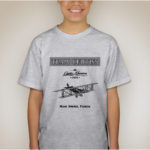 T-Shirt Featuring the Curtiss JN-4 “Jenny” airplane. 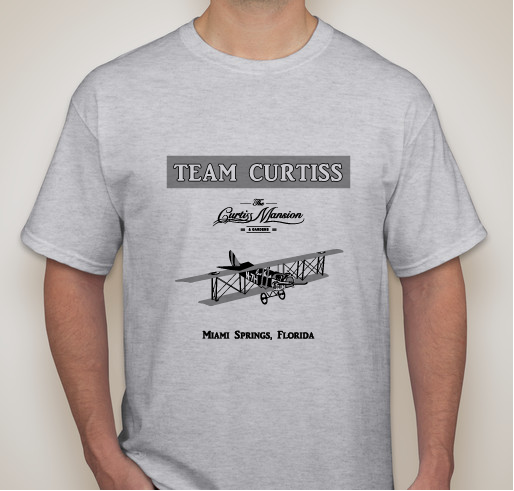 The Team Curtiss T-Shirt is a great gift for adults and children that delivers a piece of history and helps the Mansion that served as the home of Inventor Glenn Curtiss. This T-Shirt features the Curtiss JN-4 “Jenny”; which was the first plane used bu the US Postal Office to deliver air mail and the plane Emilia Earhart used to learn how to Fly.